I bought this nice stone on Ebay few years ago and now I decided to take a stack of it. The cluster is approximatelly 4cm large. I found it necessary to do some quick research on this sample to better understand its properties. 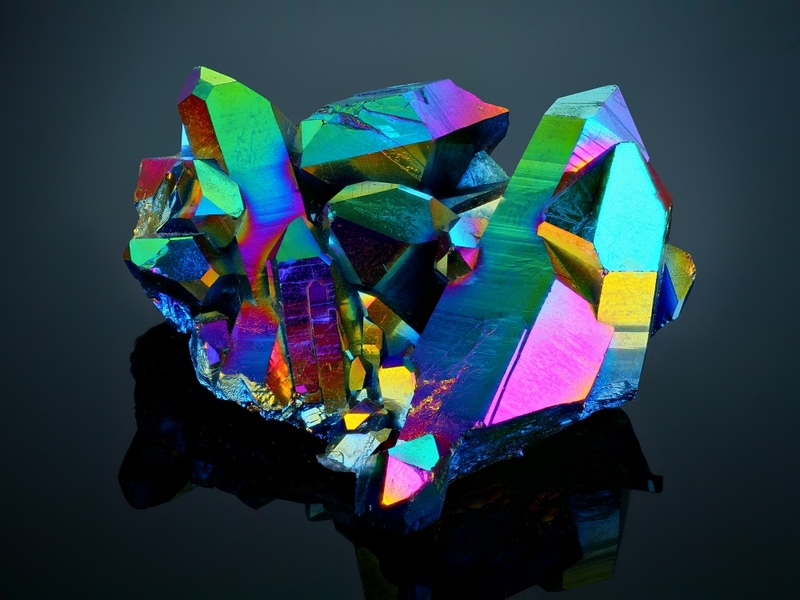 Titanium Aura Quartz is Quartz that has been enhanced with Titanium. The Quartz is heated to 871 degrees celcius and a Titanium vapour is passed across it in a vaccuum, the Titanium is bonded to the surface of the Quartz creating this amazing rainbow of colours. It is a quartz coated with a metallic sputtered layer. It is nice, but no natural. The image is very nice, anyway. Interesting material. Makes for a striking image.